Well it seems we have picked the perfect time to be visiting Israel. The week after we arrive in the country, the nation will be holding the largest security exercise in its history, as air-raid sirens sound all over the land in response to simulated chemical and biological missile attacks on Israel's northern and southern borders. Israeli Prime Minister Ehud Olmert will convene an emergency meeting of his cabinet to formulate a response to the enemy attack. For five days, hospitals, police services, the Israeli Defence Forces and other governmental institutions will be participating in drills designed to prepare the nation for the outbreak of war. And now officials in the Palestinian Authority are calling on all Palestinian Arabs to descend on the Jewish state on the 60th anniversary of the founding of the nation to exercise their 'right of return'. The plan, entitled "The Initiative of Return and Coexistence", was drawn up by Ziad Abu Ein, Deputy Minister for Prisoners' Affairs in the Palestinian Authority, in an effort to highlight the issue of the 'right of return' for Arab refugees who fled their homes during the War of Independence and Six Day War. The Jerusalem Post article says the Palestinian Authority may turn its back on the vision of two states living side by side in peace and security, and instead opt to implement United Nations Resolution 194, which permits all Arabs who fled their homes prior to the outbreak of war to return to their former homes in Israel. Around 400,000 Arabs living in Palestine were displaced by the War of Independence. Many of these were encouraged to do so by the surrounding Arab nations, who had openly declared war on the new Jewish state. Around 600,000 Jews also fled their homes in the surrounding Arab nations to seek refuge in Israel. Abu Ein's plan calls for surrounding states, such as Lebanon, Jordan, Syria and Egypt, to open their borders and allow all displaced Arabs to return to their former homeland. Palestinian terrorist organizations have long advocated a 'right of return' for Arab refugees to Israel proper, even for those born outside the land, in the hopes of demographically destroying the Jewish state. Quote: ""The Palestinians, backed by all those who believe in peace, coexistence, human rights and the UN resolutions, shall recruit all their energies and efforts to return to their homeland and live with the Jews in peace and security," the plan says. "Fulfilling the right of return is a human, moral and legal will that can't be denied by the Jews or the international community. On the [60th] anniversary of the great suffering, the Palestinian people are determined to end this injustice." Abu Ein's initiative, which has won the backing of many PA leaders in Ramallah, calls on all Israelis to welcome the Palestinians "who will be returning to live together with them in the land of peace." The plan calls on the refugees to return to Israel on May 14, 2008 with their suitcases and tents so that they could settle in their former villages and towns. The refugees are also requested to carry UN flags upon their return and to be equipped with their UNRWA-issued ID cards. I find today's news particularly interesting. The Arabs aren't the only ones advocating the abolition of the two-state solution in favour of a bi-national state. Orthodox Jews do not recognize the legitimacy of the modern state of Israel, and reject the idea of Zionism, which has brought about the establishment of a national Jewish homeland. 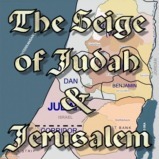 They believe that the nation of Israel will only be established once the Messiah arrives. Of course that is true to an extent. Only when the nation recognizes Yeshua (Jesus) as their Messiah, will Israel be called holy (Isaiah 62:12) and Jerusalem be called the city of truth (Zechariah 8:4). But I believe the Scriptures indicate that the nation of Israel would be reborn before the return of the Messiah and before the Jewish people return to faith in their Messiah (Ezekiel 36:24-25, Hosea 6:2). But I doubt that many Palestinian Arabs will take up this offer of returning to Israel proper, nor are the Arab governments likely to support any change in the status quo until Israel withdraws to the 1948 armistice lines. The Bible states that during the tribulation period, the Gentile nations will be in siege both against Judea and Jerusalem (Zechariah 12:2). This seems to indicate that the Palestinian conflict is set to continue for the foreseeable future. Of course I wish all Palestinians would come to Israel and live in peace and security alongside their Jewish neighbours. And I desire that they would recognize God's covenant with Israel concerning the land. 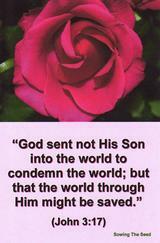 And I long for the day when both Arabs and Jews would trust in Jesus Christ for salvation. Today this is happening in part. Messianic Jews and Christian Arabs worship together in the Messianic synagogues in Israel. But the Bible states that when Jesus Christ returns as King of Kings and Lord of Lords, that both Arab and Jew will dwell together in His land, and all will worship the Lord together. What a day that will be. I am looking forward to see it. I will also leave in the midst of thee (in the midst of Israel after the regathering to the land) an afflicted and poor people, and they shall trust in the name of the LORD. And the inhabitants of one city shall go to another, saying, Let us go speedily to pray before the LORD, and to seek the LORD of hosts: I will go also. 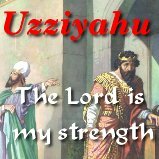 Yea, many people and strong nations shall come to seek the LORD of hosts in Jerusalem, and to pray before the LORD. Thus saith the LORD of hosts; In those days it shall come to pass, that ten men shall take hold out of all languages of the nations, even shall take hold of the skirt of him that is a Jew, saying, We will go with you: for we have heard that God is with you. 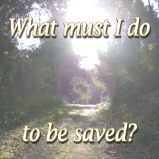 But you don't need to wait until Christ returns to meet with the Lord. You can meet Him right now in your heart by faith. Confess to God that you are a sinner, turn from your sinful life, and believe that Jesus Christ died upon the cross for you. God has promised that all who believe on His Son for salvation will have forgiveness of sins and eternal life in heaven (John 3:16, Titus 1:2). And they shall teach no more every man his neighbour, and every man his brother, saying, Know the LORD: for they shall all know me, from the least of them unto the greatest of them, saith the LORD: for I will forgive their iniquity, and I will remember their sin no more.